Basecamp is optimized for your mobile devices. 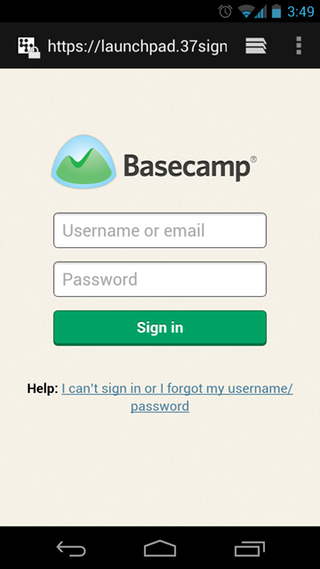 Just log in to Basecamp in your mobile browser! It works great on iOS devices, almost any Android-powered phone or tablet, and phones running Windows Phone 7 or newer. If you're an iPhone or iPad user, go ahead and install our apps from the App Store. Android users can install our app on the Google Play store.